Nawaz Sharif and his daughter Maryam Sharif were arrested after an accountability court found them guilty over ownership of luxury flats in London. 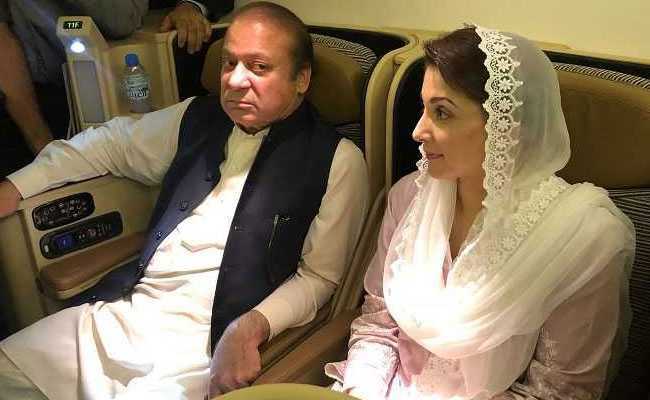 Nawaz Sharif, 68, and his daughter Maryam Sharif , 44, were arrested in Lahore on Friday on their arrival from London after an accountability court found them guilty on July 6 over his family's ownership of four luxury flats in London. The appeal highlighted the legal flaws in the Avenfield verdict and pleaded to nullify the Islamabad Accountability Court's verdict. Moreover, it (the appeal) further sought the release of three convicts on bail, Pakistan's Express Tribune reported. In addition, Nawaz Sharif's son-in-law Captain (retired) Safdar was given a one-year sentence without any fine. Maryam Sharif's legal counsel Amjad Pervaiz stated that the accountability court's verdict in the Avenfield case was not in compliance with the law. Maryam Sharif's appeal was drafted on Saturday, however, her legal counsels who were in Adiala Jail to get the power of attorney signed by their client were unable to file the petition before the court hours ended, the report. Nawaz Sharif and his sons, Hussain and Hasan, are accused in all three cases whereas Maryam Sharif and Safdar were accused in the Avenfield case only.